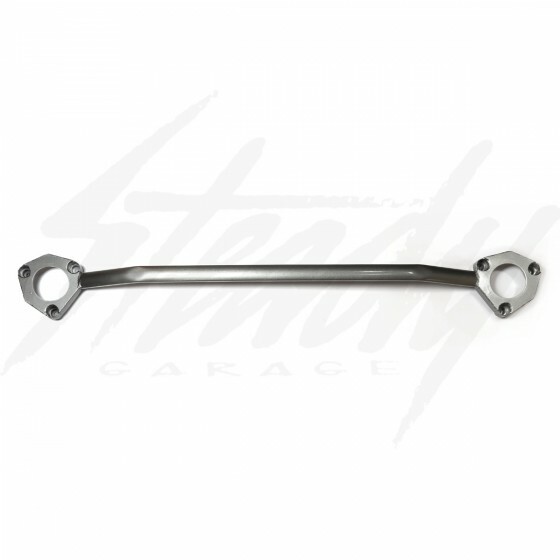 Revo Technica front upper strut tower brace/bar! It's a given that one of the biggest problems with most unibody construction cars that stay stock from the factory is shock tower flex, a condition in which the shock/strut towers will flex under hard cornering, resulting in sloppy, unpredictable suspension feel. Improve chassis rigidity without the need to increase weight! Made from light weight steel construction with hollow reinforced tubings (has a center wall inside of the tube for extra rigidity). 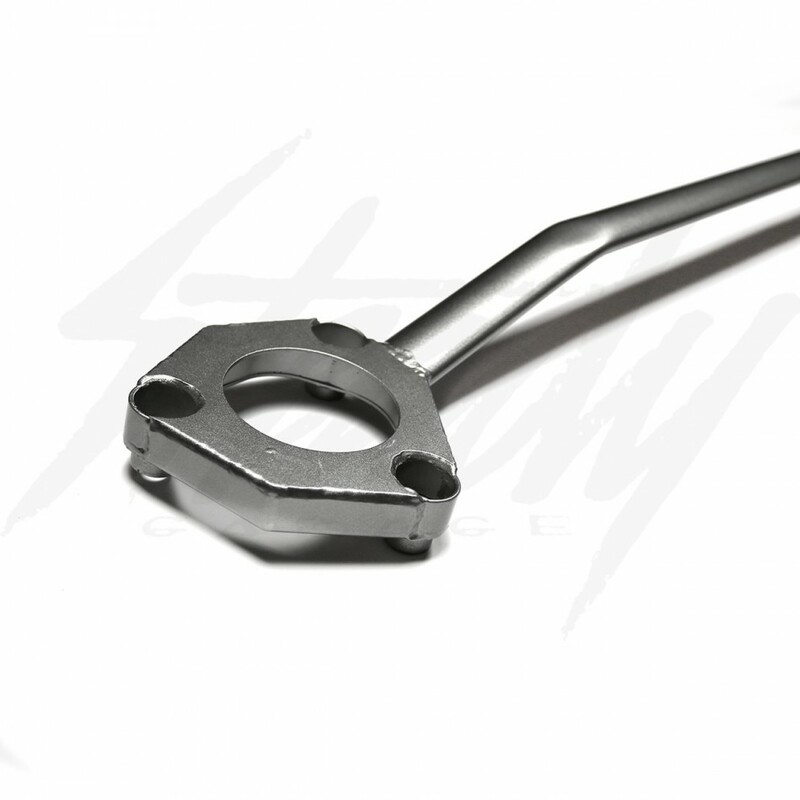 Perfect fitment to any Scion FR-S / Subaru BR-Z FT86 without removing anything but the nuts on the shock towers!